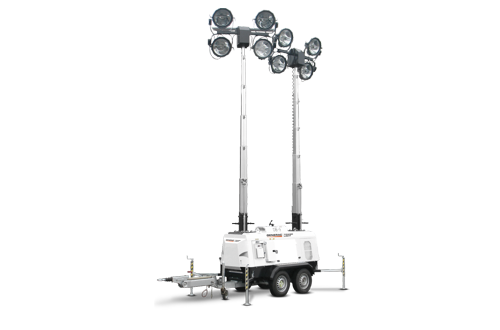 Generac Mobile® can mount light towers on special vehicles. 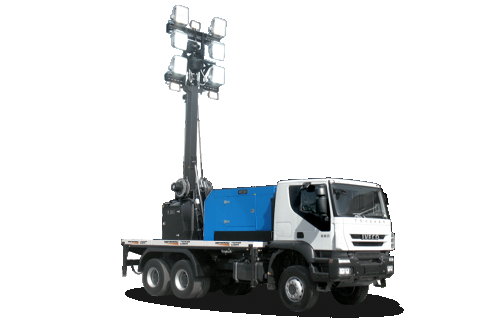 The Maxi Truck is a six-wheels Iveco truck equipped with power generator and a 15 meters light tower and 9 floodlights to illuminate a very wide area. 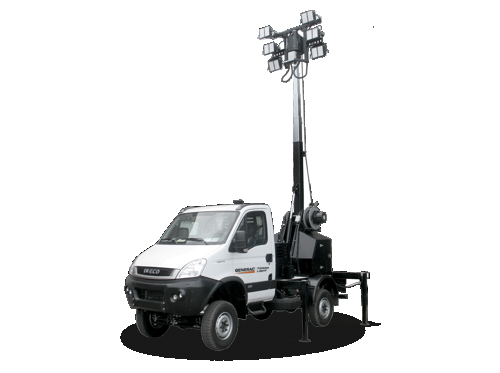 Iveco Daily LED is another truck equipped with a light tower (maximum height: 10 meters) with 6x300W LED floodlights and a power generator to power the lamps and the hydraulic lifting system. The sole light tower in the world with double hydraulic vertical mast. Both masts have a maximum height of 9 meters and can be equipped with 4x2000W Metal Halide or 4x300W high efficiency LED floodlights. The DB9 is powered by a 30 kVA Kubota D2203 diesel engine.